Outdoor education offers children special contexts for play and exploration, real experiences, and contact with the natural world and the community. To help ensure young children thrive and develop in your care, this book provides essential information on how to make learning outdoors a rich and valuable part of their daily life. Written by a team of experts in the field, this book focuses on the core values of effective outdoor provision, and is packed with ideas to try out in practice. Topics covered include:- the role of play in learning outdoors- meaningful experiences for children outdoors- the role of the adult outdoors- creating a dynamic and flexible outdoor environment - dealing with challenge, risk and safety- including every child in outdoor learningThere are case studies of successful strategies in action, covering the Birth to 5 age range. 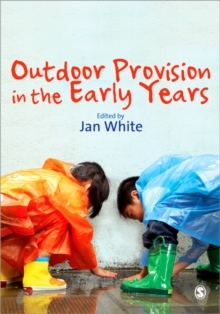 Outdoor provision needs to be thoughtfully planned, well organised and appropriately supported by adults, and this book will help practitioners and students to lead good practice with confidence, so that they respond to the needs and interests of young children.